Home Minister Rajnath Singh appeals to family members of the stranded tourists not to panic. New Delhi : Home Minister Rajnath Singh on Thursday confirmed that all tourists stranded in Havelock Island in Andamans are safe and the government is pushing fast evacuation process. 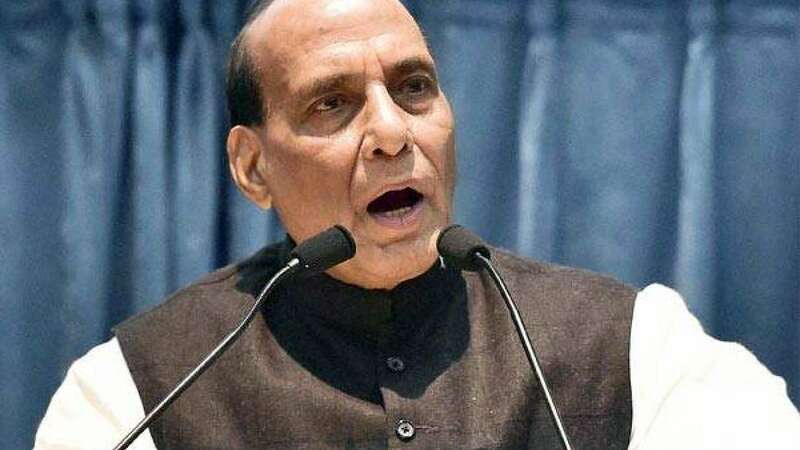 On phone, Lieutenant Governor of Andaman and Nicobar Islands Jagdish Mukhi briefed Rajnath Singh about the situation and the steps taken for rescue of the stranded tourists. "All the tourists in Havelock Island are safe and the government has made all preparation to evacuate them. Government will launch rescue operations after the intensity of cyclone reduces," Singh said in a statement. Home Minister Rajnath Singh also appealed to family members of the stranded tourists not to panic as all in the Havleock Island are reported to be safe. Indian navy has been asked to carry out the rescue operation.